Overcoming Resistance to Change is a 30 page workbook that is a great companion to the Political Savvy Book. This book covers Ten Principles that will help Overcome Resistance to Change in any organization. 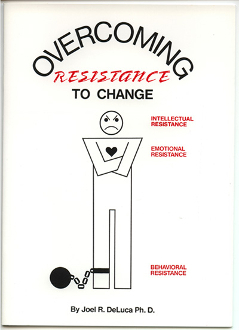 for overcoming resistance to change. Dr. DeLuca's "Overcoming Resistance to Change"
book cuts to the core of one of the most difficult aspects managers face in keeping pace with rapid change. Evergreen Business Group. All rights reserved.